Murray started his working career in the building industry and over a 20 year period gained a wealth of knowledge from running his own business with involvement in two different trades. 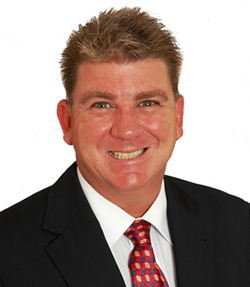 With a passion for Real Estate stemming from his father’s 30 year career in the industry, Murray hung up the tools in 2003 and started his journey in Real Estate, predominately in the sale of residential property with one of Perth’s leading franchise groups. With a keen desire to expand his overall knowledge in all aspects of the industry, Murray soon became involved in residential development. Drawing on his Fathers experience in the sale of rural land, hobby farms and land with development potential and his own in-depth knowledge of the building industry, he began his search in identifying potential property. Murray’s enthusiasm, coupled with a professional, yet down to earth approach has enabled him the ability to liaise between landowners and some of Perth’s leading developers to achieve outstanding results for both parties.